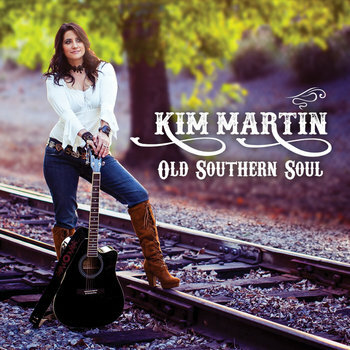 Kim Martin is an American Country-Rock artist blending her laid back California style with Southern Rock Flavor! In a sea of emerging country artists, Kim stands out not only as a singer/ songwriter, but also a fluent bassist/lead vocalist, with an extensive and versatile range of influences; ranging from Linda Ronstadt, Dolly Parton, The Eagles, Gretchen Wilson, Janis Joplin, etc… Great story telling, harmonies, and passionate vocals are what inspire her. Kim is currently in the launch phase of her self-released 2017 EP “Old Southern Soul” on her indie label Bellavicious Records. Old Southern Soul is the culmination of genuine heart with a fresh outlook on the country scene. It’s got that chilled California vibe intertwined with the grit of Southern rock. * John McFee: Pedal Steel/Telecaster (Doobie Brothers) on “Country Girl." * Brian Arrowood : Fiddle (Travis Tritt). * Drew Hester : Drums (Joe Walsh, Stevie Nicks). Kim comes from a musical family, she has been singing since grade school choir and fell in love with the bass guitar at age 14. Music is in her heart and soul. Writing, sharing, and performing is what drives her and moves her soul. She is a graduate of Berklee College of Music-Boston MA, (Bass Guitar) and Grove Music School- Van Nuys, CA (recording). She has an intense work ethic as a full-time musician playing over 200 shows a year, bandleader, and recording artist. She is also a crowd favorite at the Costa Mesa Speedway for the National Anthem. In July 2017, she enjoyed a week residency at The MGM Grand Arena, Las Vegas, as a lead vocalist in Kevin Eubank’s Band (The Tonight Show) for Microsoft Convention 2017. December 2017, Kim and her band were featured on the TV Show Musicology on KVCR PBS. Spotlighting artists in the Inland Empire. She is also the first country artist to be sponsored by Chromacast Music Gear, and is thrilled to be sharing her music and building her fan base worldwide! Fresh California-Country meets Southern Rock! Catchy story telling, superb musicianship and soaring vocals...Old Southern Soul is a diverse collection of country treasures.